Pakistan’s people and environment will bear the cost of China’s hypocritical overseas investments in coal. Pakistan should instead seek to develop its renewable energy capacity, writes King Abdulaziz University’s Fahad Saeed. If you were travelling via motorway from Islamabad to Lahore during November or December 2016, you might have felt like your head was in the clouds. That’s thanks to the smog that engulfed large parts of Pakistan’s Punjab and Sindh provinces in that period. This was clearly “not a natural phenomenon”, as the Pakistani newspaper Dawn recently noted. 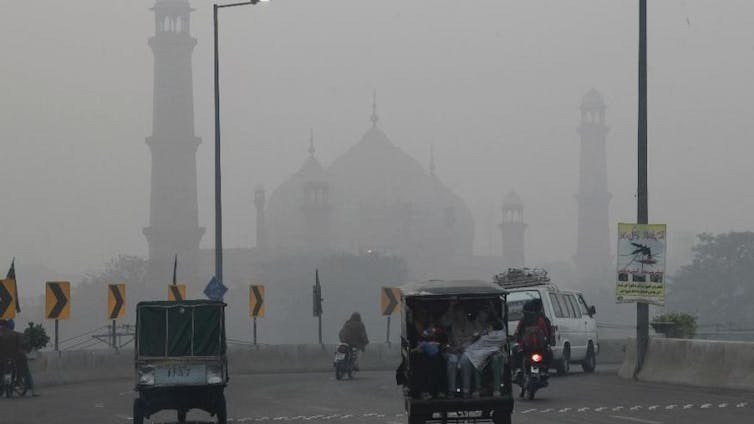 Beyond causing acute ailments such as asthma, lung tissue damage, bronchial infections and heart problems, the smog also resulted in dozens of fatal road accidents due to poor visibility. Qamar-uz-Zaman Chaudhry, former director general of Pakistan’s meteorological office and now an international climate change specialist at the Asian Development Bank, attributed the smog primarily to toxic car emissions and atmospheric pollutants coming from coal-based industries in neighbouring Indian Punjab. Imagine, then, what will happen to the environment when Pakistan begins mining billions of tonnes of coal, in part due to its plan to open at least five new coal power plants by 2018 under a new agreement with China. Smog would spread across cities and rural areas, including in the Thar region, which spreads across Pakistan and parts of India. The poor indigenous people there might have to be relocated to other areas thanks to planned coal projects, losing their livelihoods, lands and villages to new mines. Burning coal is not just a matter of local social and environmental concern. It is clear today that the coal that powered the developed world’s industrial revolution has also triggered global climate changes. According to Greenpeace International, coal is the single greatest threat to our climate. Emissions from burning coal fuel global warming, and coal mining is also a source of climate-warming methane gas. Some of the world’s leading polluters have, on one hand, pledged to control climate-changing carbon emissions within their borders, and, on the other, continued to finance fossil fuel projects elsewhere. Pakistan is responsible for a mere 0.43 per cent of global greenhouse gas emissions, but it is among the world’s 10 most vulnerable countries to climate change. Domestic climate change experts see the issue as a bigger threat than terrorism. The country is grappling with many issues, including receding glaciers, floods, heatwaves, droughts, shifting weather patterns and declining ground water levels – and the list goes on. Agriculture, which comprises 21 per cent of Pakistan’s GDP, 60 per cent of exports and employs 45 per cent of the national labour force, is particularly vulnerable to climate change. In the landmark December 2015 Paris Agreement, 195 countries agreed to curtail climate change by keeping global warming to “well below 2°C and … pursu[ing] efforts to limit the temperature increase to 1.5°C above pre-industrial levels”. All told, 141 countries (including Pakistan and China), jointly responsible for over 82 per cent of global greenhouse gas emissions, have ratified the agreement. China – world’s second biggest economy and largest coal consumer, which also has the world’s highest coal-fired power plant capacity – is considered a crucial player in the success of the Paris Agreement. Domestically, China has realised that its over-dependence on coal causes severe air pollution and other environmental impacts. The most recent data shows reductions in coal use for the third year in a row. Yet China also invested US$25 billion in coal projects worldwide between 2007 and 2015, according to a recent report by the Natural Resources Defense Council. The report criticises China and other G20 countries for such investments, which are in conflict with their climate commitments under the Paris Agreement. It shows how some of the world’s leading polluters have, on one hand, pledged to control climate-changing carbon emissions within their borders, and, on the other, continued to finance fossil fuel projects elsewhere. That’s precisely what happened with Pakistan. After most international financial institutions turned away from coal, China established itself as Pakistan’s partner in developing the new coal power plants. Under the 2015 China Pakistan Economic Corridor (CPEC) initiative, the Chinese government and banks have planned to finance companies to invest US$27.6 billion in energy and infrastructure projects in Pakistan over the next six years, of which Pakistan is contributing US$18.1 billion. According to Pakistan’s Ministry of Planning, Development and Reform, coal-fired plants with a combined capacity of 7,560 mW will be established as CPEC-energy priority projects. In the guise of bringing energy, this investment will harm the air, water, public health and environment of Pakistan. The costs and lifespans of such coal projects can stretch over decades, trapping developing nations in a system of carbon-intensive energy use. Rapid utilisation of coal – the “dirty” energy-generation option – has given many Chinese cities, including Shanghai and Beijing, the world’s worst air quality. Pakistan’s proposed Port Qasim Power Project, a 1320-mW coal plant in Sindh province, will be located near Karachi, a metropolis of 25 million. This could cause disastrous damage to air quality and environment. No country can be expected to compromise on development, and development requires energy. But, as the cases of Jordan, Peru and Mexico demonstrate, it doesn’t require dirty energy. Instead of using coal, Pakistan could drive development with renewables, in particular solar energy. 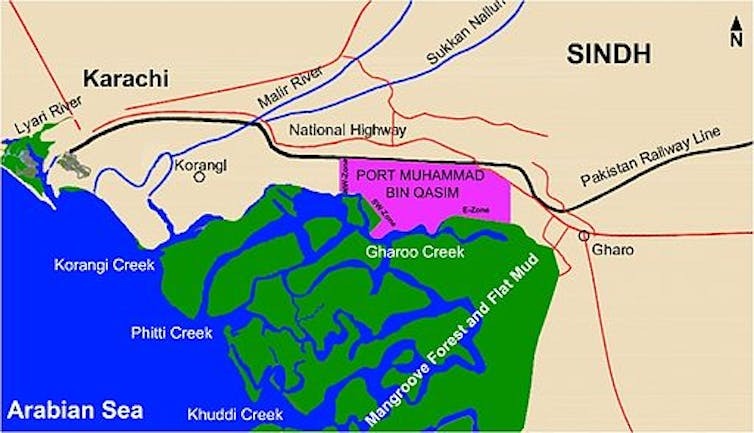 Much of Pakistan’s territory is arid or semi-arid, an ideal setting for harnessing solar energy with more than the necessary number of sunny days per year. 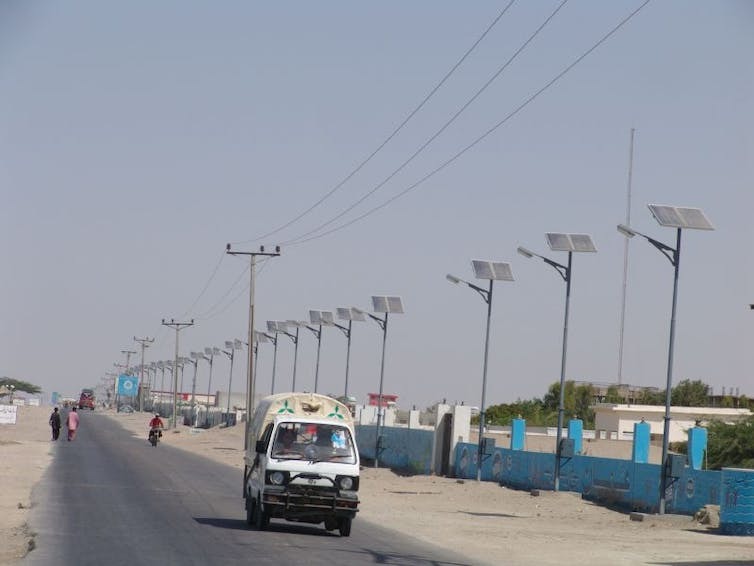 In addition to providing clean energy, solar solutions can produce energy in the same places it is consumed, making it useful in remote areas that may lack transmission infrastructure. What Pakistan needs now are forward-looking policies to foster renewable development, innovative business models, and strong leadership in obtaining financial and technical partnerships, both local and international. Recent research suggests that the deployment and maintenance of renewable energy projects are also likely to create better quality jobs than coal. The costs of renewables are declining rapidly worldwide. Solar and wind now cost the same or less than new fossil fuel in more than 30 developing and developed countries. India’s energy minister noted last year that solar tariffs had become cheaper than coal-based electricity, and India is pushing ahead with its renewables plan. China, too, has realised the economic potential of leading in renewable sources. By the end of 2016, its solar energy capacity hit 7,742 mW, double that of 2015, and this year it claimed the title of world’s biggest solar power producer. The investment bank Lazard reckons that, given proper infrastructures, prices will continue to decline in the near future. Yet under the CPEC, there is only one sizeable solar project in Pakistan, the Quaid-e-Azam Solar Park project, with a relatively skimpy total capacity of 1,000 mW. So why is China, a leader in renewable energy technologies, investing in coal-based projects abroad? It may be a way to provide overseas business opportunities for Chinese coal-plant equipment manufacturers, engineering and construction companies, as a recent Bloomberg article pointed out. Pakistan’s domestic interests are otherwise. Instead of seeking foreign investment to fulfil its energy needs with fossil fuels, it can ride the renewables wave, developing its workforce and technical and institutional capacity to harness solar energy. Climate conditions suggest the country could produce enough power to both cover domestic needs and to export, along with associated equipment and technology. What Pakistan needs now are forward-looking policies to foster renewable development, innovative business models, and strong leadership in obtaining financial and technical partnerships, both local and international. The World Bank’s new solar maps of Pakistan can support these clean-energy efforts. Transparency in costs and production also need to be ensured. One thing is certain: winning the future will not be done with technologies of the past. Fahad Saeed is Adjunct Professor at King Abdulaziz University. This article was originally published on The Conversation.